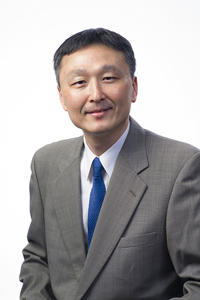 It is a great pleasure to announce that Rethinking Clusters will host as keynote speaker professor Yarime Masaru from Hong Kong University of Science and Technology (HKUST). Professor Masaru works on the implications of digitalization and globalization of innovation including smart cities and IoT for sustainability. His research focuses on public policy, corporate strategy, and institutional design for promoting science, technology and innovation for sustainability. He collaborates with key stakeholders in academia, industry, government, and civil society in Japan, Europe and North America as well as in emerging countries in Asia, Africa, and Latin America. Thanks to these collaborations, he tracks the sustainability challenges and provides interesting researches to comprehend and cope the multifaceted complexities involving environmental, economic and social dimension. In his recent publications, he stresses the necessity to rethink the existing cluster idea and explores the patterns of collaboration over geographical boundaries in the sustainability field. Professor Masaru affirms that the global transition to a sustainable society will be the sum of a decentralized transformation carried out by countless individual communities and regions across the planet. With human society predominantly concentrated in urban centers, the main arena for this transformation will be cities and towns. He believes that universities are crucial actors in this transformation process. The universities’ collaborations with different partners and stakeholders will be able to develop, test and then diffuse in a specific locality, city or region, the various technological, social and political solutions required to drive a physical transformation of the urban environment. In an urban context, these partnerships could address areas such as energy efficiency, renewables and smart grids, mobility, water, agriculture and green spaces, in addition to infrastructure and the built environment. The logic behind this idea is the recognition that no single actor or organization possesses the all-encompassing knowledge, resources or capacity to solve complex, interwoven sustainability problems on their own. Looking forward to listening to prof. Masaru’s speech in Padova. We strongly believe that his expertise and knowledge will provide interesting food for thought to the workshop. Previous PostPrevious Special PhD day!